BROOKLYN, NY -- The former Soviet republic, which used to have the most Lenin statutes per capita, has dealt with its old communist monuments in a myriad of ways. A few years ago, photographer Niels Ackermann and journalist Sébastien Gobert embarked on a strange treasure hunt: a search for Vladimir Lenin in Ukraine. More specifically, they were seeking the material traces of the former Soviet leader, in the form of his many memorial statues Ukrainians have removed in the past four years. It turns out these stone and metal Lenins met a vast array of fates after their falls, from taking up residence in museums to undergoing transformations into new heroes of the 21st century. 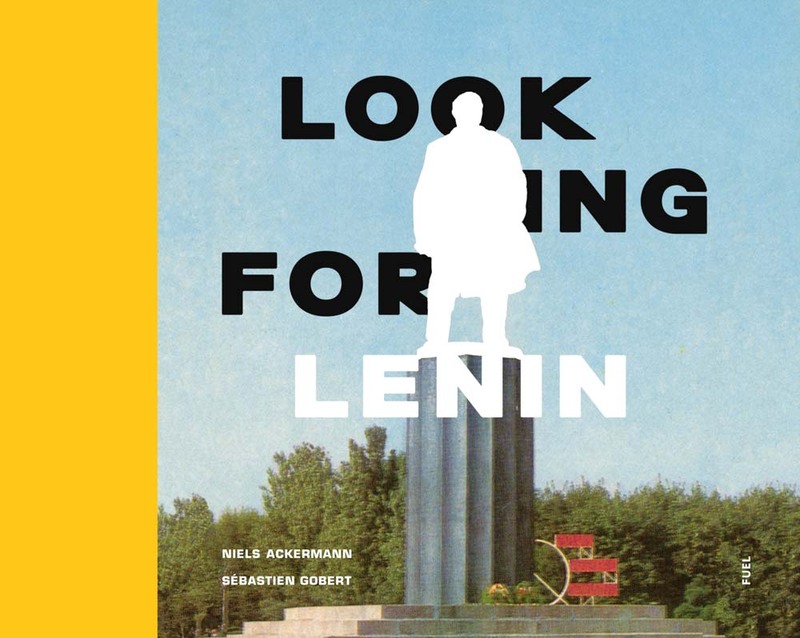 The pair documents their extensive hunt in Looking for Lenin, a page-turner of a photo book recently published by FUEL. Ackermann’s images capture the current states of about 45 Lenins, which represent a small fraction of what’s out there: Ukraine erected about 5,500 statues to Lenin, according to an included essay by University of Oxford research associate Myroslava Hartmond, and it represents the region of the former USSR with the highest concentration of the memorials per square kilometer. They began to fall in waves, as Hartmond recounts, and often through violent dismantling: after the Orange Revolution in 2004, during Euromaiden protests in 2013 and 2014 — which witnessed the toppling of nearly 400 monuments — and following the official passage of the legislation on decommunization in April 2015, which sparked debates about national identity and historical revisionism. The different fates of Lenin shown in Ackermann’s photographs exemplify the divergent atttudes towards the Communist-era relics. The intact statues or busts that stand on new pedestals in museums, from Kiev’s Museum of Soviet Occupation to the city’s National Art Museum, were clearly restored by those who saw in them history in need of preservation. Fragments of statues, from a nose to a massive arm, that lie in buildings or in the wilderness, hint at the protestors who just wanted these symbols gone. Some statues are hidden — tucked away in a forest, or lying on a building’s roof — to protect them from destruction by nationalists or theft by those trying to sell them for profit. There’s a sense of indifference, too, in the images that reveal Lenins forgotten or ignored, or regarded as just a curious artifact. In some cases, Lenins still remain at the site they fell, gazing blankly towards the sky, or leaning awkwardly against their pedestals. Photographs show Lenin lying in the middle of a forest, resting in a cupboard with everyday objects as company, or standing in private gardens like a garden gnome. In one image, the head of one statue is pushed against a glass window of a bar, serving as a kitschy greeting sign to passersby. And then there the Lenins we can’t recognize anymore, like one near Odessa that artist Alexander Milov transformed into Darth Vader. In the central city of Cherkasy, the Soviet figure is dressed like a Cossack who now welcomes visitors to a nearby club. And some Lenins have been melted down, with their material repurposed to sculpt less controversial Ukrainian individuals such as Olympian Volodymyr Holubnychy or the poet Taras Shevchenko. Ackermann and Gobert traced these Lenins by speaking with Ukrainians and following any offered leads; what makes Looking for Lenin particularly interesting is its inclusion of snippets of these conversations that share their thoughts on decommunization. The dozens of accounts arrive from everyday citizens but also from curators, collectors, activists, heads of villages, and security guards who played, or play, some role in shaping the afterlife of these Lenins. Their myriad and vehement opinions suggest that the removal of Lenin from public squares may have only amplified his presence in their minds.